Sustainable Belmont hosted a Q&A with Mary Beth Calnan and Wellington PTO Members to discuss recycling issues in town, including the great efforts underway at the elementary schools. Participants were invited to submit questions and share ideas during the evening and in advance of the discussion. In our previous 2 recaps, we discussed costs and plastics. Our final recap addresses the bits and bobs that continue to confound and food waste. We learned to keep the cap on the bottle to recycle, but what of the plastic-y aluminum foil from the yogurt container – recycle it? YES! It goes with aluminum, a.k.a. tin foil. Doug points out “…this [the foil container tops] is a growing fraction of the aluminum waste stream, and aluminum recycling is probably the most important residential fraction to recover due to the energy-intensity of manufacturing”. Personally, I am relieved by this bit ‘o’ news, because I’m not quite ready to give up my store-bought yogurt. A similar plastic mixed item is ASEPTIC containers, which raised concerns at our event. What are aseptic containers? From the town site, these are: “…juice, broth cartons, etc. …cartons with plastic pour spouts are acceptable.” Currently, these go in paper – this is somewhat confusing because of the very clear plastic content in the container but technology has advanced to separate these materials and recover them. That said, the latest news is that they may be going back into cans, glass, plastics, etc., so stay tuned to the town site for details. We can only hazard a guess that this is due to a demand issue or a technological change in the processing. If you’re curious about the current processing, we found this blog which has a great overview of hydrapulping. Still more bits? O.K., Polystyrene foam, a.k.a. Styrofoam: you can recycle clean and dry with ReFoamIt in Leominster – they hold events in various towns and receive foam directly at their site. It must be clean and dry. If you can eliminate Styrofoam from coming in, that is ideal – this material has been shown to be significantly hazardous to the health of workers manufacturing it. Did I mention clean and dry? This is a serious waste problem when you consider the quantity of foam trays be consumed daily at the schools and area businesses. Polystyrene foam is used because it’s lightweight, therefore costs less to ship and haul away. You could fill a tractor-trailer and it might just weigh less than my grandmother (she’s tiny!). The problem is, while it’s cheap it doesn’t go away. Members of the Belmont PTA/PTO Green Team Alliance are looking for alternatives for our schools. Nearby, Brookline has implemented a ban on polystyrene (and plastic bags) and they are not alone in their policy. Could Belmont be next? 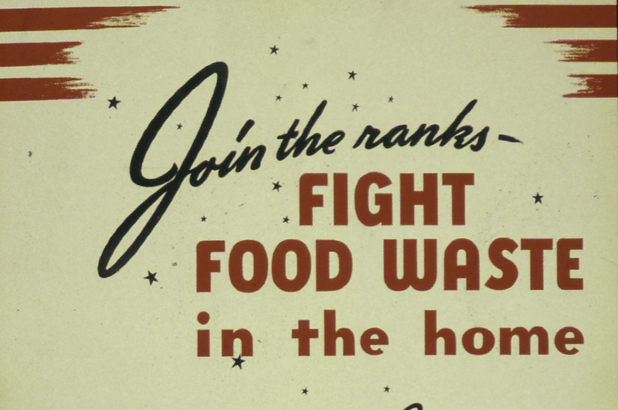 Even if you were raised by the Clean-Plate Club, you simply cannot avoid food waste. In developed countries, the bulk of food waste is attributed to end-use – we simply buy and plan to consume more than we do. In developing countries, the bulk of food waste happens before it gets to homes – a result of challenges with transportation and storage. Lesson: buy what you need and eat it. Still, even if you are incredibly frugal, you will create peelings, skins, stems, and such that require disposal. Food waste can be composted by you or by a hauler you pay. If you compost, do NOT include animal products (fat, grease, oil, bones, meat, cheese, etc.) in your compost. These items will attract rodents and will not break down in a home composter, which doesn’t get hot enough internally to decompose these materials. DPW sells 2 types of composters for $25 each and they provide great instructions on how to compost. Most important – keep a balance of browns (leaves and grass) to greens (veg and fruit scraps). Interestingly, if you’re low on leaves, your paper towels, napkins, tissues and newspapers can be used as ‘browns’ – one more waste stream you can divert! Alternatively, compost indoors with a worm bin. The principals are the same, there is no odor as long as you keep everything balanced (no overfeeding the red wrigglers!). You can go for the ready-made or try to make one of your own, like the Garden Gal. For both options, you will have to experiment with how much ‘system’ you need to absorb your food scraps. Composting is important for nourishing the soil. Doing it locally, avoids the costs of manufacturing and shipping petroleum-based soil inputs which avoids carbon emissions, among other avoidances. There is no doubt that compost has a role in our home gardens but absorbing all our food waste is not possible by home composting for many residents. Methane, the gas produced by decomposition, is a growing concern for its impact on global warming. Department of Environmental Protection reports that methane is 20x more harmful over a 100-year period than CO2. Fortunately, this same source of emissions is a valuable source of fuel. Massachusetts is working to direct this resource to anaerobic digesters in the state, creating a new, clean source of energy. Starting in October of 2014, institutions and businesses producing 1 ton or more of food waste per week will be required to divert this material to a specialized collection site. Businesses and others can learn more about how to manage this waste via RecyclingWorks Massachusetts. To see a small-scale example, Jordan Dairy Farm in Rutland, MA is a great one. Deer Island water treatment facility already uses an anaerobic digester to provide energy for its processes. In fact, if you put food waste down your garbage disposal, you are actually sending it to the Deer Island anaerobic digester. As with composting, you still can’t put fats, oils, grease or other animal products down the pipes or you will create an undesirable plumbing situation in your home and beyond. We can expect to see more food waste hauling programs in our future. And, we would love to see more product stewardship, as several attendees pointed, i.e., companies that take responsibility for the materials that they are producing by making them easier to recycle – using commonly accepted recycled materials, simplifying packaging, employing sustainable practices, etc. Massachusetts lags behind many states in product stewardship. Without a doubt, recycling is important but reducing is essential to the conservation of our resources and environment. Reduce or eliminate single-use items. Buy quality goods that endure. Reduce waste before it comes in to your home and you will reduce waste in the environment.